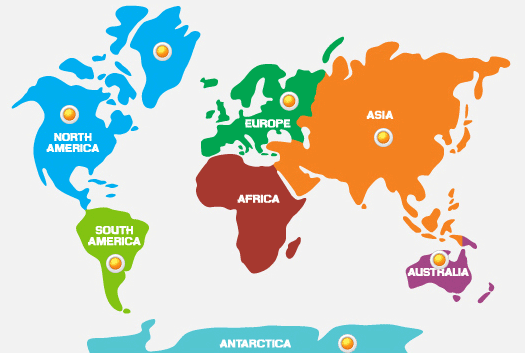 Since 1986 CS CLEAN SOLUTION has supplied point of use scrubbers to over 6000 customers worldwide. Safety, environment, and reliability are our primary focus. We have specific experience and expertise in Semiconductor, Photovoltaic and laboratory applications. With the heightened awareness and control of water and power usage CS Clean granulate-based abatement is the perfect solution. CLEANSORB products are designed to offer full-featured gas abatement technology from demanding production environments to laboratory applications. 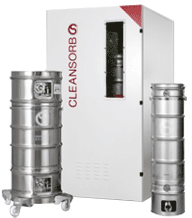 CLEANSORB abatement systems remove hazardous process gases. CLEANSORB systems are fully passive, and are permanently on stand-by, even in the event of a power failure or other facility interruption. A wide range of CLEANSORB model sizes are available to meet the needs of all of our customers. Product line is designed as a simple and cost effective solution for gas abatement. 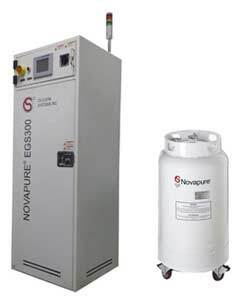 Novapure offers a safe, efficient, and reliable solution for treatment of hazardous gases. The design allows for the spent canister filter to be economically and safely disposed by certified waste handlers. CS CLEAN SOLUTIONS uses advanced chemisorber technology to design waste gas abatement systems which are unmatched in their scrubbing efficiency, yet absolutely simple to operate. © 2015, CS CLEAN SOLUTIONS ® USA. CLEANSORB, CS CLEAN SOLUTIONS and the logo are registered trademarks.